When I was taking my first baby steps on this homeschooling path, I felt pretty confident in my curriculum choices based on much research and prayer. But, no matter how much information I gathered, how many homeschool veterans I spoke with, how many online reviews I read, I felt very hesitant when faced with the decision to purchase one math curriculum versus another. It was not for lack of choices that I was so uncertain. On the contrary, a wide array of quality programs was precisely what made my verdict so difficult. After deliberating for nearly an entire spring, I finally came to one conclusion...even when presented with a multitude of choices, there were and are really only two options...two possibilities...two perspectives of how math should be taught and, consequently learned. A thorough appraisal of any/all of the math curriculums on the market today would place them each in one camp or the other...curriculums that focus on math mastery versus those that contain a more spiral review. Once I recognized that simple distinction, the choice for my family was clear. Let me preface the following remarks by saying that I am in no way declaring this to be an educational dogma. These are simply my thoughts on the two positions and how one naturally works better for my kids than the other. My children can enjoy a DAILY feeling of success even while learning a difficult math concept. A curriculum that focuses on a spiral path introduces a new concept, but also has daily review in previously learned concepts. For instance, the new concept of long-division might be introduced and comprise the majority of a lesson. But the lesson will also have a few moments of review in measurements, calendar time, and counting money. My learner might really struggle with long division, but can end the lesson on a "good note" and have a feeling of success when he/she gets to work on a few practice problems of calendar time...something that comes more easily/natural to him/her. On the flip side, if we were using a math mastery curriculum, long-division would be the entire lesson...and could possibly be the entire lesson for weeks or even months. Imagine how deflating it would feel knowing you had weeks of "struggles" to look forward to. My children can glean from continual review. Because the whole concept behind the spiral approach is to introduce a new concept and continue to review and add onto that same concept every few weeks, my kids get constant review of every topic. The review is usually done with a very cumulative rotation so that even by the end of the year, they have not forgotten any of the concepts learned on Day 1. It might sound logical to think that once a child has "mastered" addition that he/she will remember the entirety of the addition facts for years to come. But, any mother can attest to the "black hole" that happens during summer break. Somehow, thoughts that seemed permanently etched on a child's brain in the spring, suddenly prove to be MIA by fall. So without constant review, can mastery ever really happen? I was taught all my multiplication facts in grade school and later went on to high school where those basic skills were stretched and used in more difficult implementations. College math extended my use of the "basics," Skip ahead a few years when I was standing in front of a classroom of third graders teaching the multiplication facts to a handful of eager learners. Even after all of those lengthy encounters with the infamous "table," I still to this day, do not have my seven times family completely mastered. If I were required to be thoroughly proficient with the sevens before I was allowed to continue on in my math journey, I would be a Thirty-something still struggling through lesson 5 of the third-grade math text. And that brings me to my children...although it is my goal to help them become proficient in all areas of traditional math, I recognize that mastery, or at least mastery of ALL, might never happen. But, perhaps, mastery can occur in MOST areas if a child is given the opportunity to learn many different math notions at the same time, as in the case of spiral review. Spiral Review provides a natural link from one concept to another. Because the very nature of the spiral approach is to take a "known" concept and add a little of the "unknown" to it every few weeks, this form of math shows an innate relationship of one math concept to another. For instance, my daughter began learning to count by five early on in her kindergarten year. A few short weeks later, she used that skill when learning to count nickels and eventually minutes on the clock. The mastery approach, on the other hand, would have taught skip counting (counting by fives) in one unit. Weeks, months, or even perhaps a year later, money would be introduced...but the two concepts would not necessarily be linked in any obvious way. In the end, what is the point of counting by fives? Is it just to master counting? Or is counting by fives just the baby step leading a child to other more difficult math concepts? And if so, shouldn't the link be obvious to the learner? Again, like all other homeschooling choices, a math curriculum decision is up for great debate. But, as there are really only two possible alternatives, this makes the choice a tad bit easier. Math mastery or spiral review--which camp do you prefer? Jamie! I SO NEEDED THIS ARTICLE! Would you mind giving a list of a few solid cyclical math programs for elementary homeschoolers? The ones that come immediately to mind...ABeka, BJU, Horizons, Rod & Staff (I believe), Saxon. This is by NO MEANS an exhaustive list. These are probably the most well-known ones. Hope that helps. This was a great way of explaining how all curriculum should be thought out before buying. Too bad I learned it so late. Great post!!! So great, Jamie! Thank you! 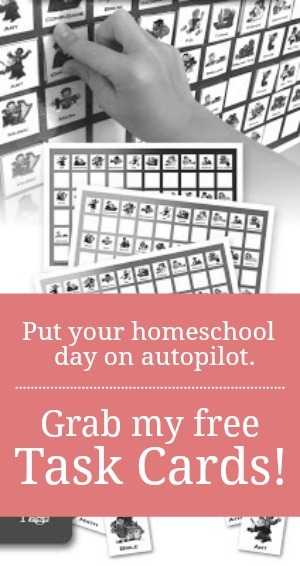 I'm a "new to this" homeschool mom trying to pick our very first homeschool math program. I have heard a lot of stuff about Math u see. Any idea where this would fall on the review or mastery scale? Math-U-See takes a definitive mastery approach. While I have many friends who use it and love it, I know it would not work well in my home. But, my home is not your home. If memory serves, they have a sample DVD they will send you to try it out. Thank you very much :) I remember being so frustrated by math, and I hope to help my kids love it by choosing more of a cyclical review style like you've mentioned. Makes so much more sense than what we did in school. Thanks for the insight! Great article! Wish I would have had this to read many years ago. Not to be critical at all, but in my experience of homeschooling, often times one method works better with the child's personal learning style than the other. I have one student who can easily do spiral. The other however, needs more mastery in order to remember the concepts, therefore a mastery program works much better for him. I have tried spiral and it has resulted in hours of frustration because the spiral teaches the new concept briefly then goes back into the practice work of lessons past without any real review of how the concept works. I wish I would have recognized that much sooner too! I think it really depends on the curriculum you choose. Really good programs will have a full page of new material and a full page of review. You can skip some of it if you feel the child has gotten enough practice in each area. What are your thoughts on combining Horizons with Math U See Beta? Is there a way to integrate spiral learning with some mastery? I'm not a fan of Math U See. It is strictly mastery. I know it works really well for some, but I know it would not work for my kids. Which program did you ended choosing for spiral learning that you can recommend from personal experience? A few important notes: 1) There is much review in mastery properly implemented. 2) Americans have used the spiral approach for all of history across the board until recently, while the countries scoring highest in math used mastery. I think either will work in the end, but like you said, you never got the sevens times tables. You used a spiral approach in school if you schooled in the US, which means your mind was occupied with learning many things mathematically while you were attempting the tables. I'm neither an opponent nor a proponent of either method, however mastery has its perks that shouldn't be ignored. We use spiral, mainly because that's what we began with, and mastery works best when it's from the get go. All very valid points. Thank you for sharing your experience. I think it really depends upon the kids. Some kids are wired for mastery and some just are not.